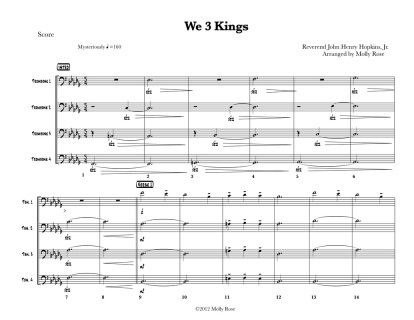 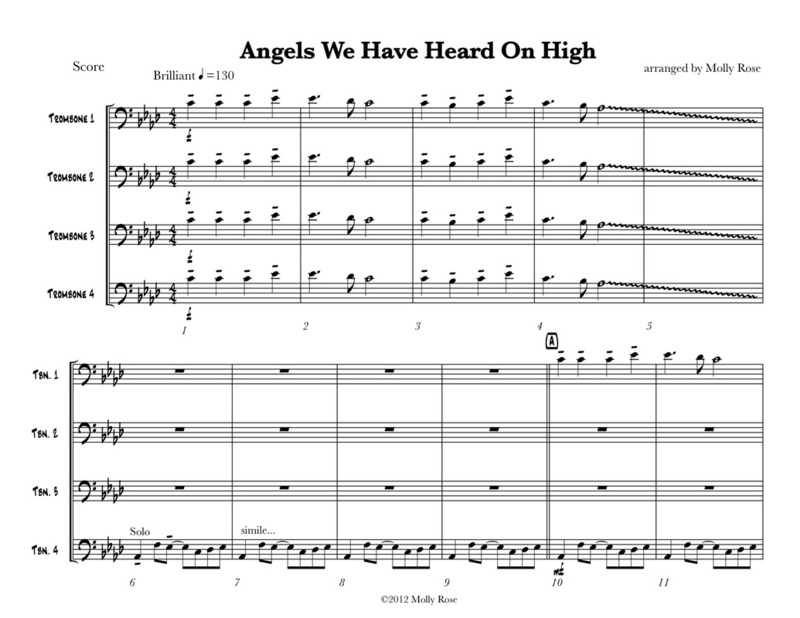 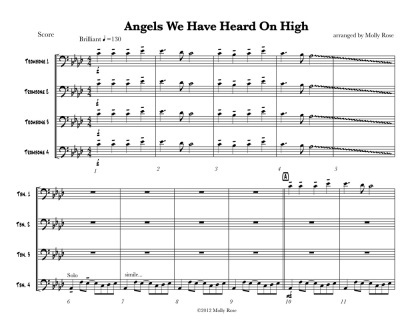 Once you have made your purchase in 1-3 days I will email you a PDF of the score and all the parts for all of the arrangements you have purchased. 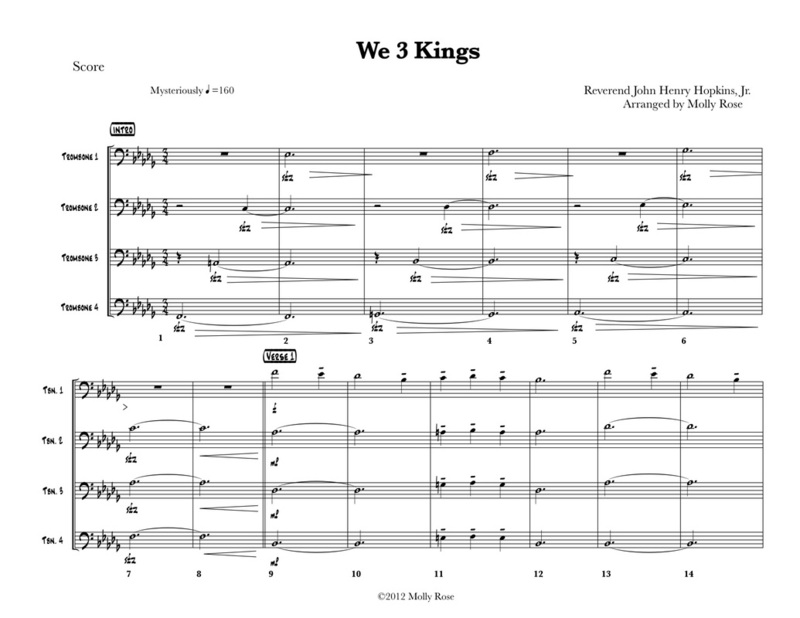 -for trombone quartet, can be played by larger trombone choirs though! 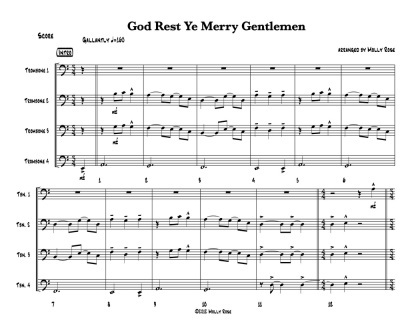 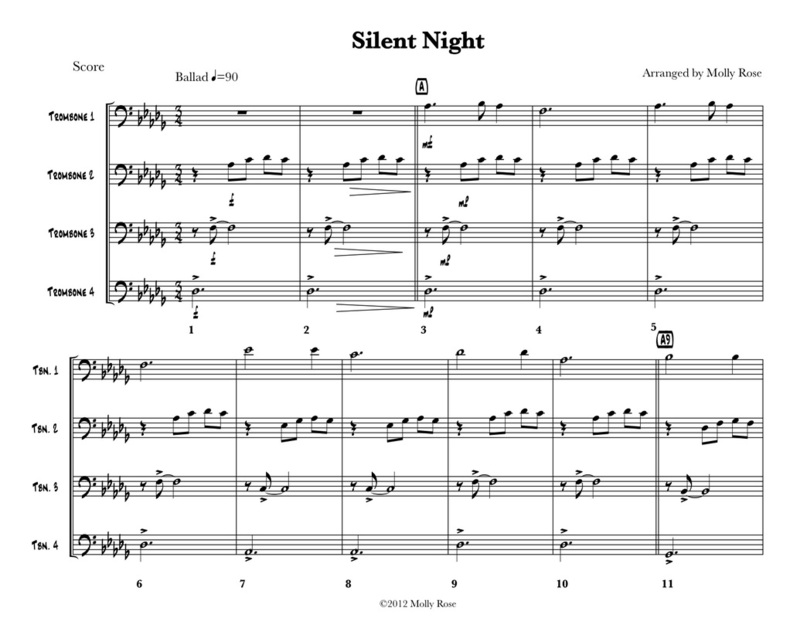 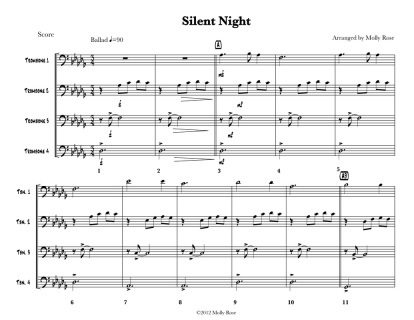 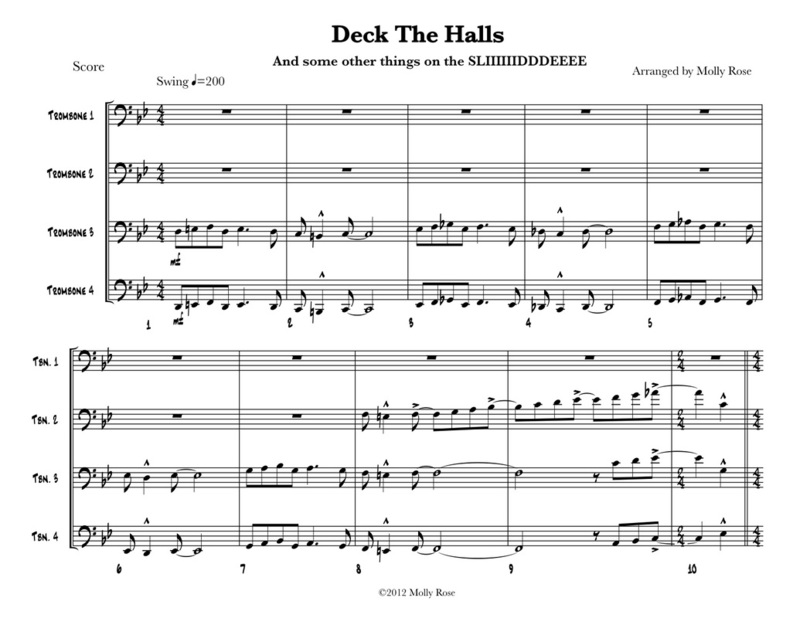 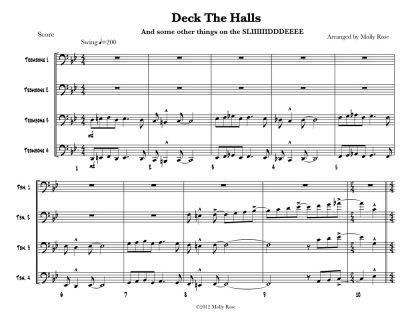 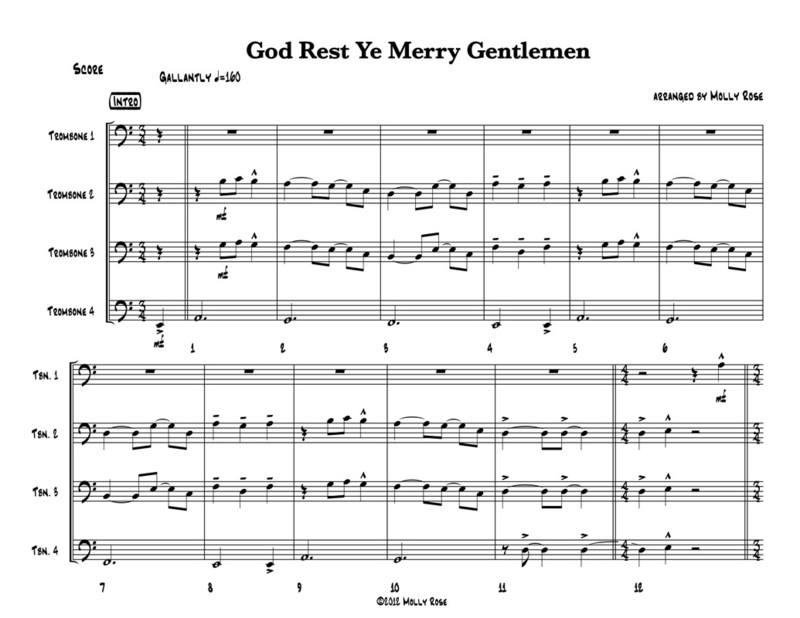 A fun, jazzy, compilation of Deck the Halls, Jingle Bells, and Sleigh Ride! 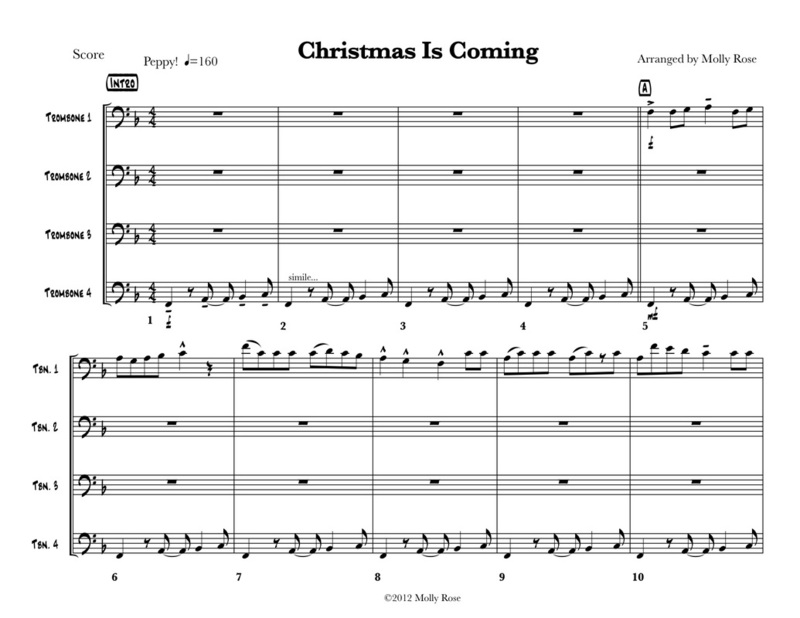 I first learned of this song when I was little kid listening to the Muppets Christmas Album, it's a round with Miss Piggy and some of the other muppets and is a quaint little tune! 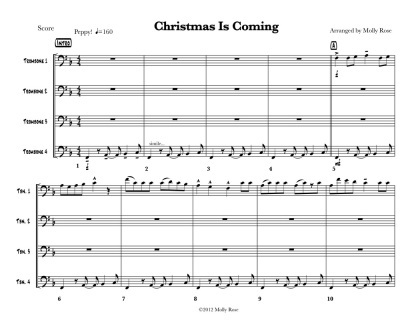 "Christmas is coming, the goose is getting fat, pleased to put the penny in the old man's hat, if you haven't got a penny, a hay penny will do, if you haven't got a hay penny, then god bless you!" 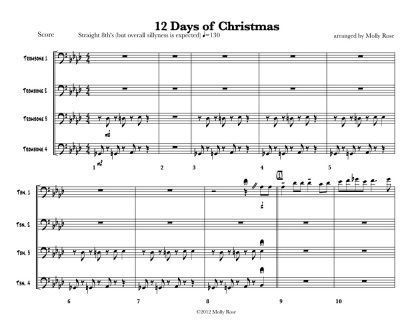 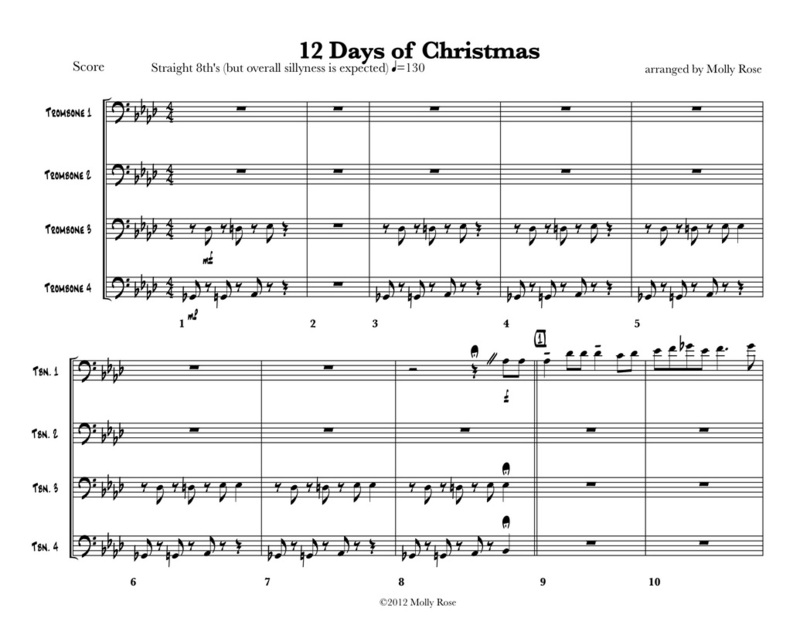 This is a rather silly version of the 12 Days of Christmas, the whole peice is a fight between the 4 parts for who gets to play the melody, whoever isn't playing the melody tries to sabotage them. 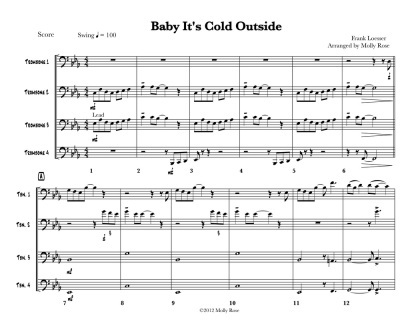 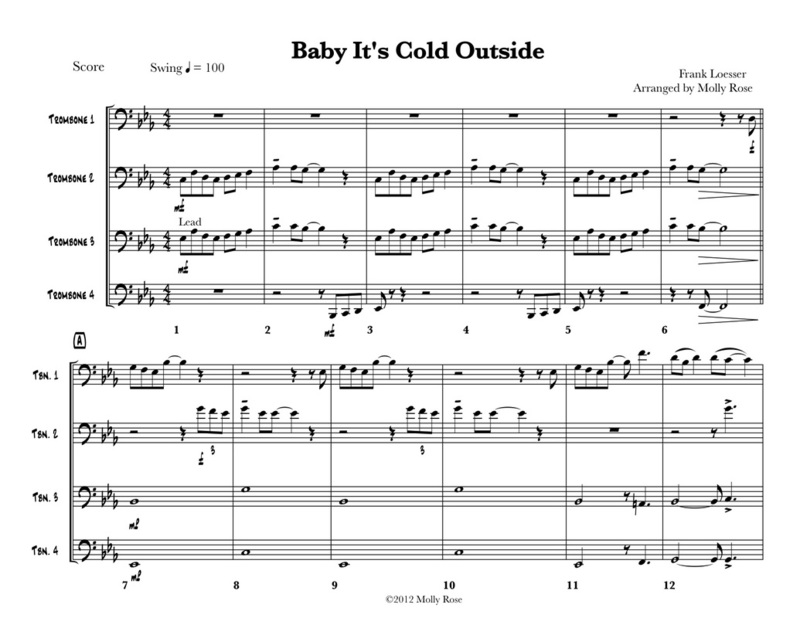 -a slow, jazzy style you'll find familiar, yet different from other arrangements you've heard!